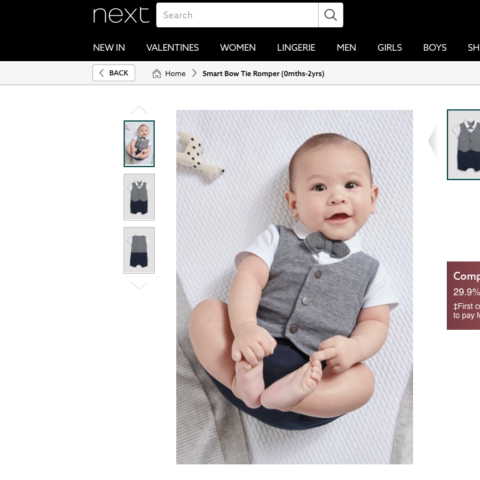 Alex has been spotted on the Next website rocking a Navy Smart Bow Tie Romper! Lacara child model agency is FREE TO JOIN!- Apply online now! Lacara do not charge any yearly fees, upfront fees or web inclusion fees. We are a completely free to join agency. 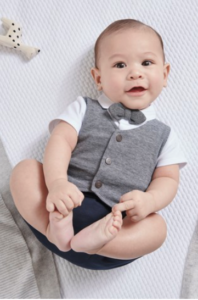 Please read our FAQ page for child modelling advice. Professional model portfolio’s are not required to apply. We are happy to accept good quality photos that are clear and natural. You will find guidelines of the do’s and don’ts for successful photos on the apply page. Child models that are accepted onto our books can take advantage of our ‘mini portfolio’ offer. Even though portfolios are not required to join Lacara child modelling agency it is a great opportunity for all aspiring child models to gain experience from the photoshot and meet the Lacara team. If you feel your child would benefit from a portfolio we are happy to help and offer our services. Please take a look at our portfolio page for more information about this service.